The WWE Superstar credits John Cena for inspiring him to get in shape. 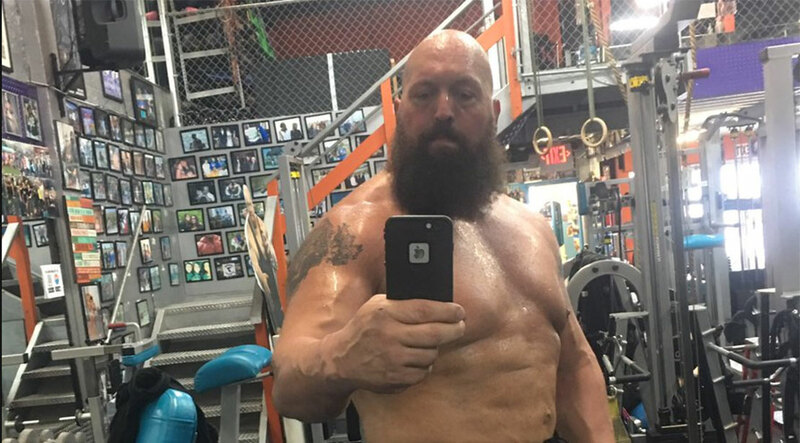 Big Show's recent physique is indeniably impressive. But how did he do it? In an interview with WWE.com, Big Show talks about how he lost over 70 pounds over a period of six to seven months. He credits his transformation to his trainer, Dodd Romero. @Shaq! Karaoke? Doughnuts? You better get serious. All roads lead to #WrestleMania. The only giant! When asked why he decided to lose so much weight, Show recalls a fateful conversation with fellow Superstar (and M&F cover star) John Cena: "We were talking about getting in shape and I said, 'Ah, what the hell is a giant gonna do with abs?' and John looked at me with a straight face and said, 'Yeah. A giant with abs. That wouldn’t be marketable at all.' And he walked off. It was kind of a shot, but [later] John reached out and congratulated me on the work I’ve done. That meant a lot. " As for his current workout routine, Show is focused on high-reps: "Everything from 50 reps, 35 reps, 21 reps. I’m not trying to build muscle right now, I’m trying to keep my metabolism up, keep my tendons strong, keep my joints good and cut a lot of fat." Of course, he's also had to make some sacrifices. The Superstar admits that losing weight takes dedication and time, and that he's had to say goodbye to some of his favorite foods like pizza and meatball subs. At the end of the day, Show hopes that his transformation will inspire others: "There is nothing more powerful in the world than the human spirit and the human will. It’s taken us to the moon, for God’s sake. So there is nothing that anyone can stop you from doing if you really want. I hope this interview helps some people. That’s all you can do, right?" While Show admits that his much-hyped match with Shaq may not happen, he's still looking forward to showing off his new bod at Wrestlemania 33 next month.